Spring is here and a lot of trees and flowers are blooming all around. Beautiful! Most noticeably around here are the cherry trees. 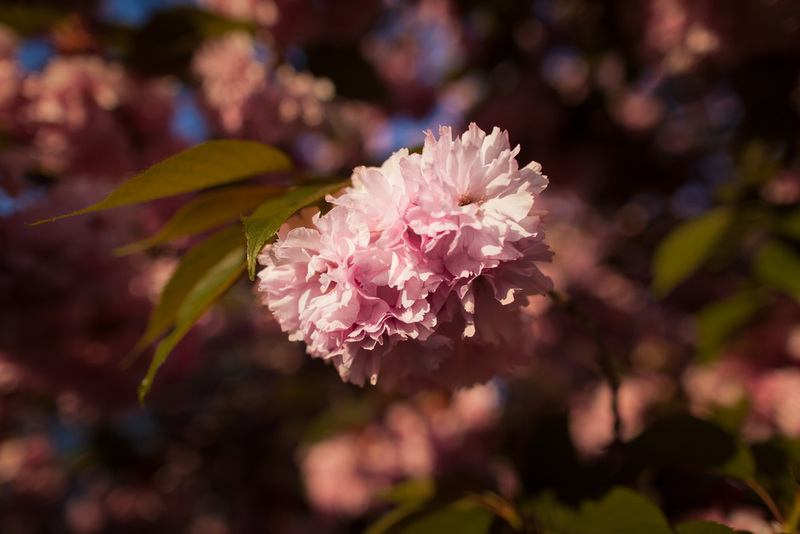 I found out actually that the real name is "Kwanzan Flowering Cherry". The only exception are the flowers in the shrub, which I will try to find the name later. But also very interesting nonetheless.